#2What are your personal objective for this season? How many goals you hope to score? Do you think is possible to reach the play-off? "To stay injury free and play as many games as possible and look to improve on last season. I’d be happy with scoring anything about 5 goals but hopefully more! I think the play-offs have to be our minimum aim this season with the players we’ve got". 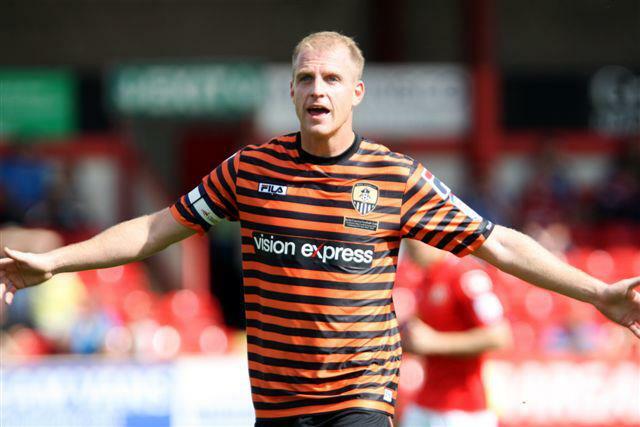 #3How do you feel to be the Captain of the World's Oldest Football League Club? "To Captain any football club is a big honour, but it makes it extra special to be captaining Notts County with all their history". #4Many people want to know what was your feeling at the Opening Ceremony of the Juventus Stadium. How did you feel playing Juve and meet Del Piero before the match? "The whole experience of being there was surreal, to meet Del Piero and speak to him personally is something you can only dream of. He was a top guy and had a real interest in Notts County, and showed his class as both a footballer but also as a person". #5What do you think about the bond between Notts County and Juventus? Do you now some Magpies came to Turin and some Bianconeri went to Nottingham last season? "I met the Italian guys who came over before the game, I didn’t know about the link until I joined Notts County but it's fantastic to be linked to one of the most famous and successful clubs in world football". #6What do you think about having Notts County fans around the world, such as Italy and Brazil? 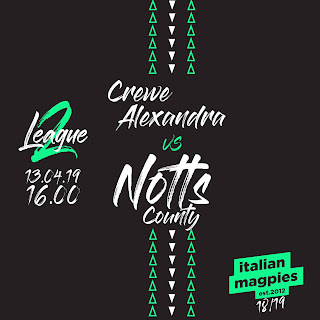 There are many Supporters club like Italian Magpies and Brazilian Magpies that follow the team and keep a site update with all Notts news. "We value all fans of Notts County, but it's brilliant that we have fans across the world. We hope that we can welcome these fans again too to Meadow lane".